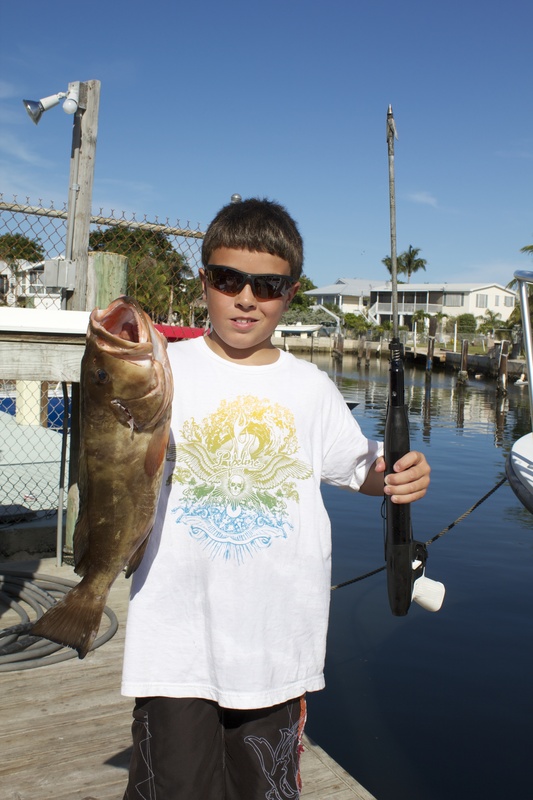 Ethan was certified to dive at the Florida Keys Dive Center and learned how to spear Fish. Look at the size of the first Grouper he caught. Go Ethan!